"The award-winning Spanish author Antonio Muñoz Molina is a modern-day flâneur. 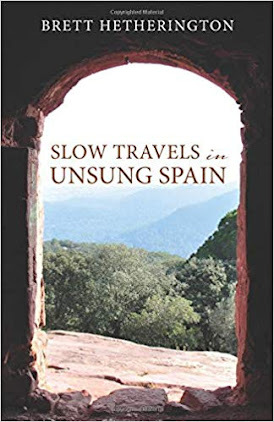 In his new novel Un andar solitario entre la gente (or, A solitary walk among people), Muñoz Molina followed the path of writers such as Thomas De Quincey, Charles Baudelaire and Walter Benjamin, and aimlessly roamed the cities of Madrid, Paris and New York, recorder, notebook and pencil in hand. With these tools he captured life’s peculiar mix of the lowly and the sublime. 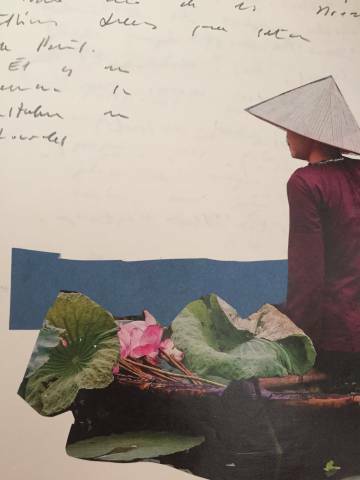 Collage by Antonio Muñoz Molina. 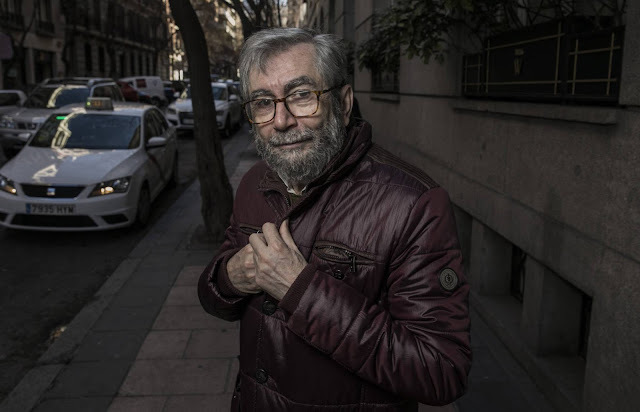 EL PAÍS spoke with Muñoz Molina about his writing experiences and beliefs about modern-day society." Read interview (in English translation) here. 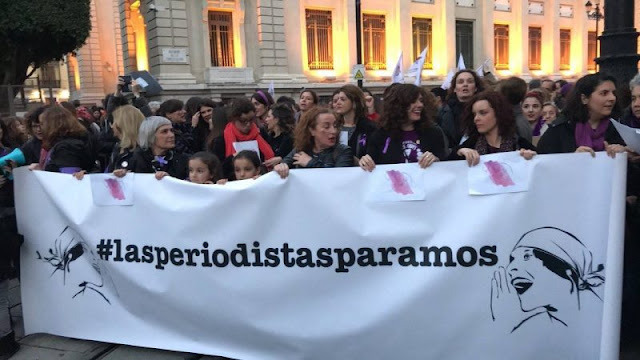 "Some 8,000 women journalists from Spain, among them the author of this post, recently signed a manifesto called “Journalists On Strike,” which was read during the “Feminist Strike” that took place on March 8 in a dozen cities in Spain. Neither the manifesto nor the strike were initiated by a union, political party, or media source, as is often the case. For the first time, women television show hosts, radio presenters, and newscasters decided to turn off their microphones in the studio and take their voices to the streets." Read more from María Luz Moraleda's translated article at Global Voices here. "The Spanish female referee proving rugby is not just a man’s game"
"Alhambra Nievas is blazing a trail for women in the sport, becoming the first woman to be the main referee in an international men’s rugby test match. 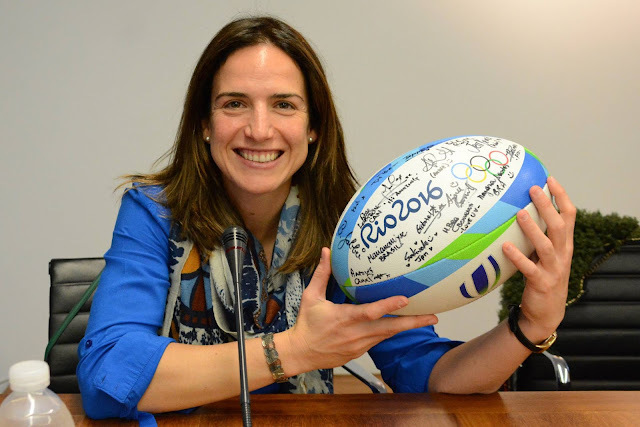 The first woman to be the main referee in an international men’s rugby test match, taking charge of the Women’s Rugby Sevens Final at the 2016 Rio Olympics, being crowned World Rugby referee later that year… Spaniard Alhambra Nievas is taking a traditionally male-dominated game by storm. The award-winning rugby referee from Granada became the first woman to officiate in a men’s international fixture last November, marking the latest accomplishment on her record-breaking CV. In a testament to her name – which her mother gave to her out of love for Granada’s Alhambra Palace, established during Spain’s Moorish dynasty – Nievas heralds a new dynasty for women, not only in the niche, close-knit refereeing world of rugby, but also in sport itself. The 34-year-old’s story is illuminating – even more so in a country that once witnessed Oscar-winning actor Javier Bardem – who briefly played for the national under-21s team – state that being a rugby player in Spain is like being a bullfighter in Japan. The latter might still be a rarity, but Nievas has seen the wind of change blowing strongly in her country, where the 11-man, two-footed game is worshiped by many. “My grandad watches a lot of soccer, he loves soccer,” she explains. “The first time he watched a rugby match, when I was refereeing on TV, he was shocked. He said to me, ‘Wow…the players didn’t give you any stick – just respect! You looked like you had everything under control!’ "
If you are a regular reader of this column you might remember several articles I’ve written in support of the public health system over the past few years. 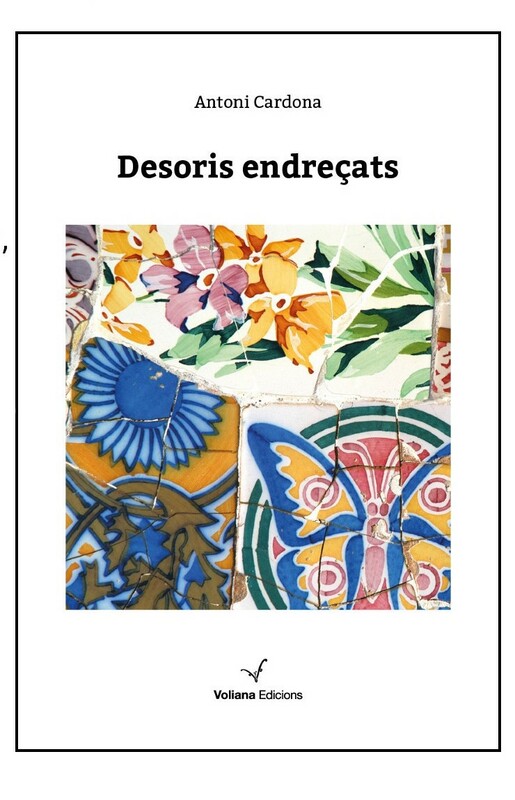 This month I have an interest that is particularly close to home because I am just two days away from having a kidney transplant in Bellvitge Hospital in l’Hospitalet de Llobregat, just outside Barcelona. The organ donor is my wife Paula so I now have another reason to be grateful to her, apart from putting up with me for the last 25 years. We only have to look at the United States of America to witness the hideous tragedies that unfold when there is no universal public health scheme to protect those who cannot afford to pay for private medical insurance. According to the United Network for Organ Sharing, “the first-year billed charges for a kidney transplant are more than US$262,000.” On top of this, the drugs that are needed after the operation, including anti-rejection drugs and other medications are estimated to be about US$3,000 a month. In my case, probably like many others who are lucky enough to live where we do, the financial burden on my family and I will be limited to some loss of income because I won’t be able to work for a few weeks or a month or so. If I was living in the USA, I could well face the prospect of being heavily in debt for the rest of my life, or even completely devastated. This, purely because I have had the misfortune to inherit a genetic fault. As one American reported recently, “after we went through all of our savings, all of our retirement, and all of the equity in our house, we filed for bankruptcy.” Sadly, these kinds of situations are as common as hot dogs and apple pie in the USA. New schemes have helped some people to a limited extent, under the Affordable Care Act and the so-called ‘Obama Care’ state and federal funding, but the Trump administration is determined to end these programmes. Republican party members of congress have their eyes equally fixed on ensuring that the private health industry completely dominates patient treatment and that increases its ability to make a healthy profit from unhealthy people. At the moment, there are still 27 million Americans without the insurance that is necessary for them to ensure they get looked after properly. It’s easy to take what we have for granted in this country. Personally, I have no problem paying my share of taxes, provided it goes to vital services, like health, education or other human infrastructure. The mark of civilised society is that it looks after its lower income earners or those who make next to nothing. Having a health problem should never be a passport to financial misery. These are the kind of thoughts I have as I think about what I am facing in the coming weeks. I am extremely thankful to my donor but also thankful to all those ordinary people who both fund and fight for the continuation of a quality public health system. Long may it continue to help people like me who need it. 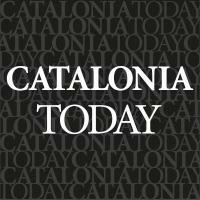 Video: "The truth about our national identity? It's made up." "Nationality feels powerful, especially today. But the idea of identifying with millions of strangers just based on borders is relatively new. We explain why it was invented — and how it changed the world." Watch video from the New York Times here. 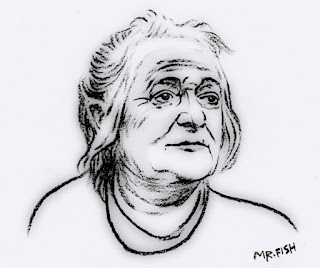 "In 1923 the radical socialist and feminist Clara Zetkin gave a report at the Communist International about the emergence of a political movement called fascism. Fascism, then in its infancy, was written off by many liberals, socialists and communists as little more than mob rule, terror and street violence. But Zetkin, a German revolutionary, understood its virulence, its seduction and its danger. She warned that the longer the stagnation and rot of a dysfunctional democracy went unaddressed, the more attractive fascism would become. And as 21st-century America’s own capitalist democracy disintegrates, replaced by a naked kleptocracy that disdains the rule of law, the struggle of past anti-fascists mirrors our own. History has amply illustrated where political paralysis, economic decline, hypermilitarism and widespread corruption lead. Zetkin’s analysis, eerily prophetic and reprinted in the book “Fighting Fascism: How to Struggle and How to Win,” edited by John Riddell and Mike Taber, highlights the principal features of emerging fascist movements. Fascism, Zetkin warned, arises when capitalism enters a period of crisis and breakdown of the democratic institutions that once offered the possibility of reform and protection from an uninhibited assault by the capitalist class. The unchecked capitalist assault pushes the middle class, the bulwark of a capitalist democracy, into the working class and often poverty. It strips workers of all protection and depresses wages. The longer the economic and social stagnation persists, the more attractive fascism becomes. Zetkin would have warned us that Donald Trump is not the danger; the danger is the growing social and economic inequality that concentrates wealth in the hands of an oligarchic elite and degrades the lives of citizens. The collapse of a capitalist democracy, she wrote, leaves those in the working class disempowered. Their pleas go unheard. Reforms to address their suffering are cosmetic and useless. Their anger is written off as irrational or racist. A bankrupt liberal class, which formerly made incremental and piecemeal reform possible, ameliorating the worst excesses of capitalism, mouths empty slogans about social justice and the rights of workers while selling them out to capitalist elites. The hypocrisy of the liberal class evokes not only a disdain for it but a hatred for the liberal, democratic values it supposedly espouses. The “virtues” of democracy become distasteful. The crude taunts, threats and insults hurled by fascists at the liberal establishment express a legitimate anger among a betrayed working class. Trump’s coarseness, for this reason, resonates with many pushed to the margins of society. Demoralized workers, who also find no defense of their interests by establishment intellectuals, the press and academics, lose faith in the political process. Realizing the liberal elites have lied to them, they are open to bizarre and fantastic conspiracy theories. Fascists direct this rage and yearning for revenge against an array of phantom enemies, most of them scapegoated minorities." Read more from source at Truthdig here.